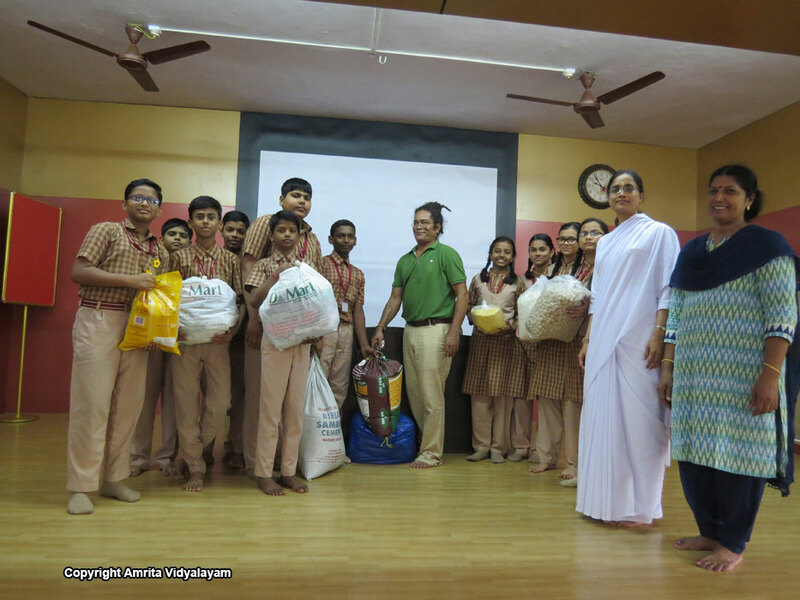 Sevamritam – Students donated 170 kg rice, 8 kg poha, 8 kg moong dal, 5 kg toor dal, 1 kg tea, 4 kg soya chunks and clothes to Freedom Faith Foundation between October and December to help the people at the centre. Principal Brni. 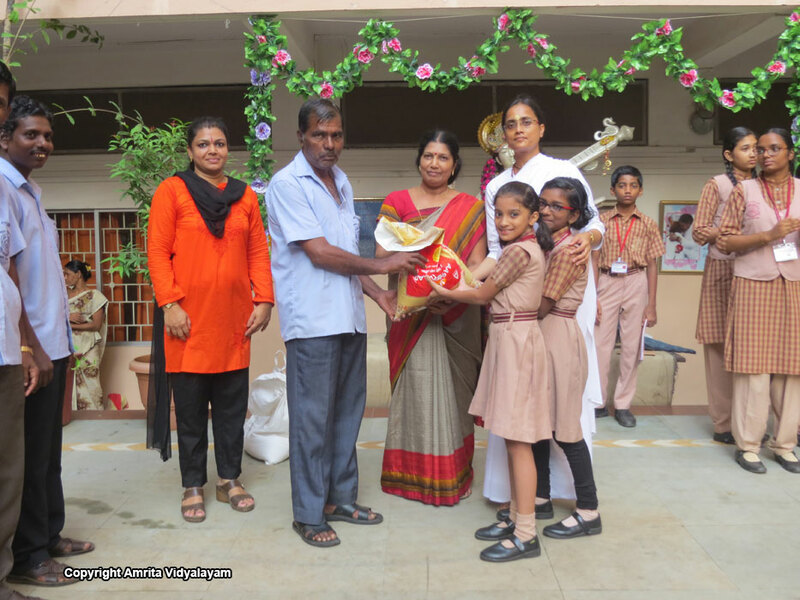 Rekha acknowledged the tireless work of the school maushis and drivers by felicitating them during the school assembly and giving them 5 kg rice each. 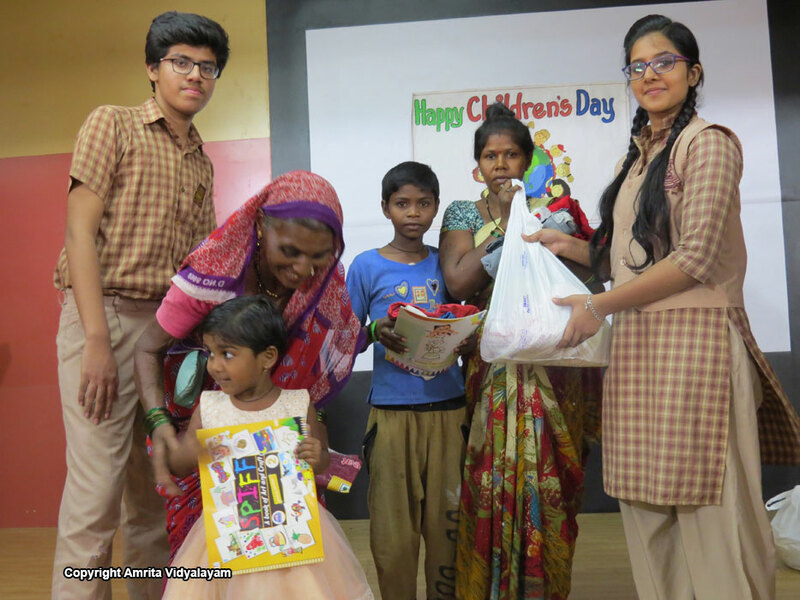 Senior Secondary students invited the 85 members from 28 families to the school on the occasion of Children’s Day and each family was given a gift hamper containing rice, pulses, oil, sugar, soya chunks and clothes. 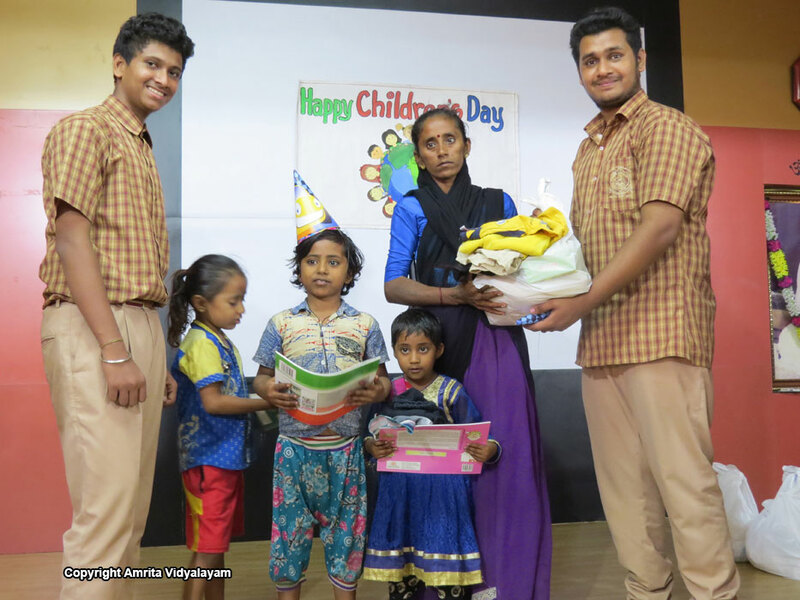 Small children were gifted drawing books, colours and chocolates. A very thoughtful and kind gesture by our 10-A and 10-B students who generously contributed around 110 kg of rice towards Sevamritam. 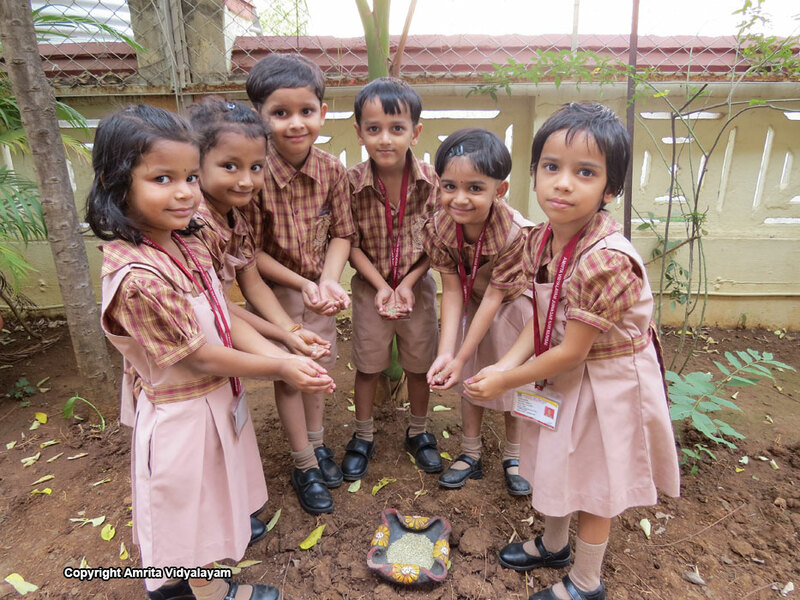 A special mention to Class 6-C which has been consistent in contributing rice towards Sevamritam. Sealing of Desires – A sum of Rs. 5000 contributed by students towards Sealing of Desire was given to Freedom Faith Foundation to help them buy essential items for the patients living in the centre. 85 members were provided lunch from the contribution received monthly from students and teachers towards this project. Rs. 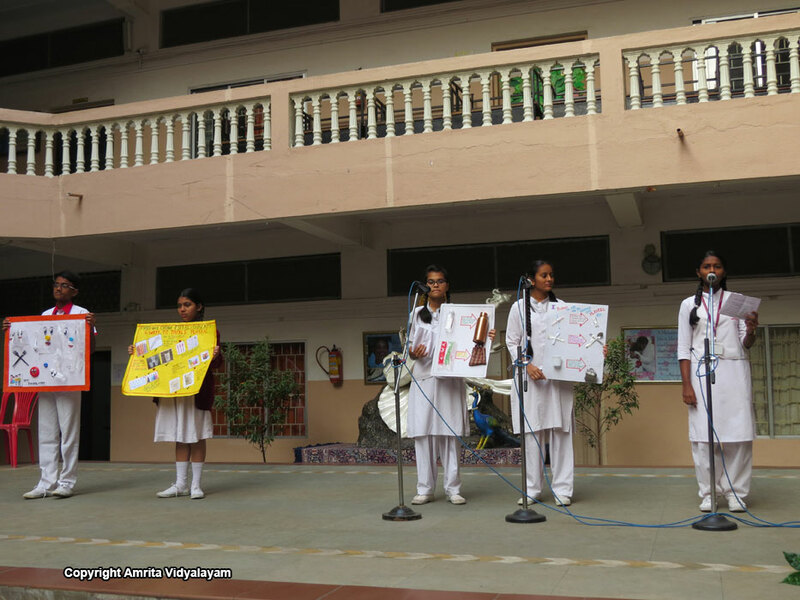 620 was generously contributed by our 10-A and 10-B students. 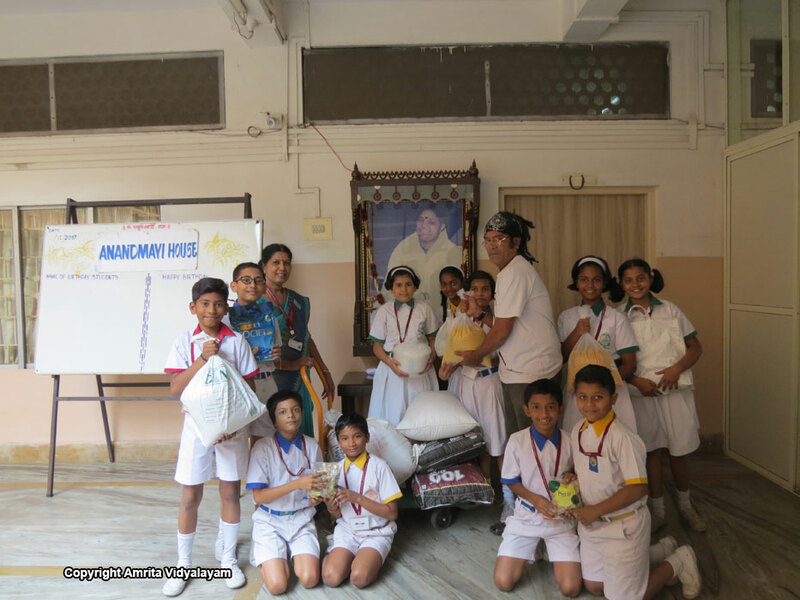 Wealth from Waste – A total of 10 cloth bags were stitched by the students which will be used in place of plastic bags for distribution of rice. 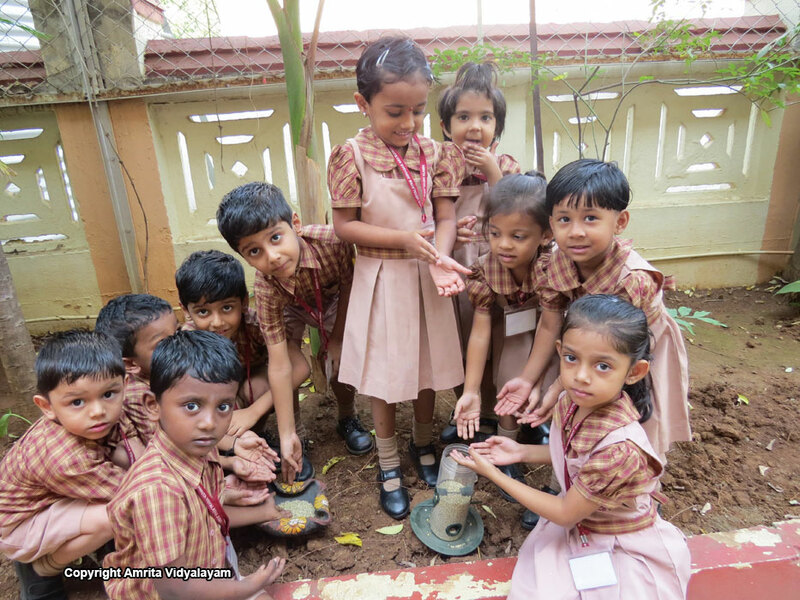 Bhutayagna – Students of Amrita Nursery and Classes I and II continue to feed the birds diligently. 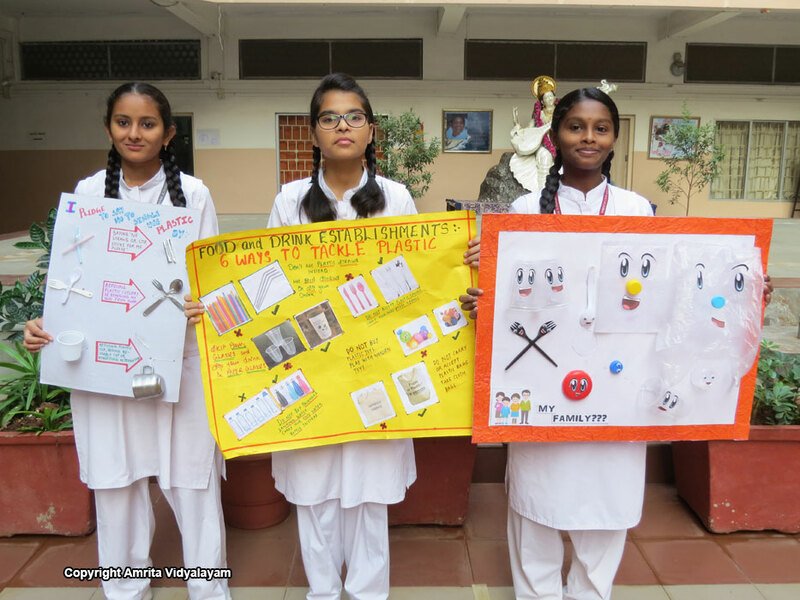 Grihamritam – 4 simple yet effective ways to cut plastic from our daily lives was shown to the students in the assembly with the help of colourful charts and explanation by Grihamritam volunteers, who also visited classrooms to reinforce the message. The simple ways include saying NO to straws while buying juice, carrying cloth bags while going shopping, carrying water bottles instead of buying bottled water and carrying a small spoon to avoid buying plastic cutlery. 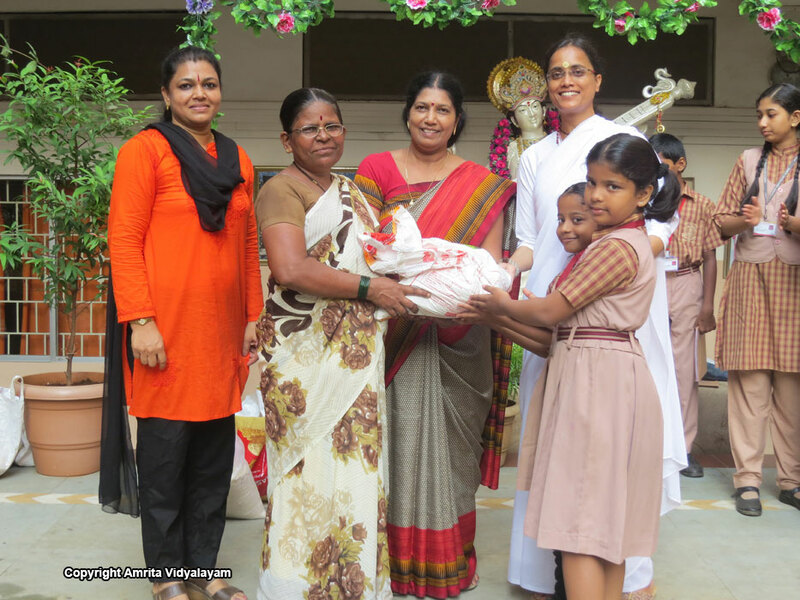 Snehamritam – The students have been enthusiastically bringing rice and clothes during birthdays which are then distributed to needy families.